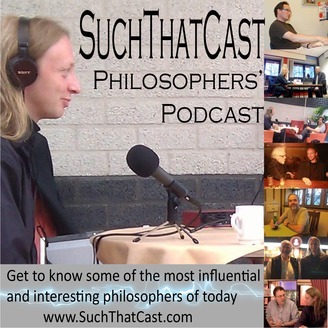 SuchThatCast is dedicated to getting to know some of the most influential philosophers (broadly speaking) of today. 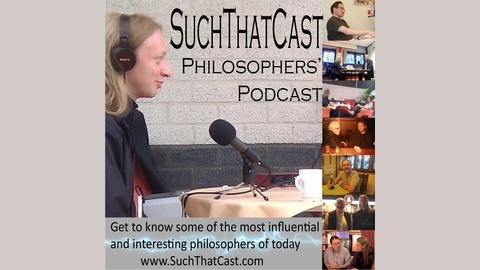 It seeks to provide an alternative to most other philosophy podcasts (many of which are excellent), by taking the form of a face-to-face conversation (I will never do a phone/skype interview) where the guest is free (and encouraged) to share information about themselves that may not be appropriate in other forums: this includes stories about their unique and often unconventional career paths, seminal events and figures in their lives, undeveloped ideas and generally whatever they are passionate about. John Cottingham is Professor Emeritus of Philosophy at the University of Reading and an Honorary Fellow of St John's College, Oxford. His main research areas include philosophy of religion, moral philosophy, and early-modern philosophy. He is perhaps best known for his translation and commentary of René Descartes - in particular as co-editor and translator of the three-volume standard Cambridge edition of The Philosophical Writings of Descartes. In our conversation, we talk about his early training in Latin and Greek, his experiences with all aspects of student life at Oxford in the 60s and the seminal figures during those days (in particular Anthony Kenny and Bernard Williams), the differences between philosophy then and now, and his increasing emphasis on the importance of spirituality.